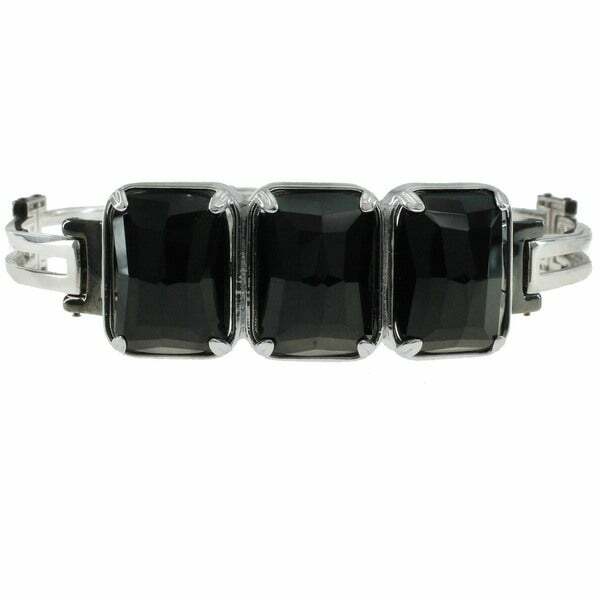 This Michael Valitutti bracelet features black agate. Crafted of palladium silver, this bracelet shines with a highly polished finish. All carat weights and measurements are approximate and may vary slightly from the listed dimensions. Treatment code D(Black agate). See Treatment Guide for further information. This bracelet is light weight and for the money I paid, it looks cheap. I was really expecting this to be a stunner for how much they charged. Well I was wrong. Don't waste your time or money on this one! Wish I had! !